The Dunes Golf and Beach Club was built by the legendary Robert Trent Jones and opened in 1948/1949 (there is some debate about this). The golf course has had modifications a number of times since the opening: 1976-1977, which brought out hole #13, otherwise known as “Waterloo”. This particular hole has received many accolades in the game of golf and is known as one of the greatest holes of golf from around the world. Another renovation was in 1992, this one more extensive than the previous one in 1976, the greens were replaced with Penn Links bent grass in the hopes of making the greens smoother for playability. 2001 brought more renovations to the tune of $6 million dollars. They lengthened the driving range and more than doubled the amount of golfers that could use the range from 18 to 40. This renovation also brought a completely new hole with the addition of a “maintenance hole” in between the 13th and 14th hole – specifically for a substitution hole if they needed to close another hole for maintenance. This was to make sure that 18 holes would always be available for play, even when they were doing maintenance. In 2003 the greens were replaced with A-1 Bentgrass while the son of Robert Trent Jones, Rees Jones, took the greens back to their original shape to remain consistent with his father’s original design from over 50 years previous. In 2013, under the direction of Rees Jones again, the greens were converted from A-1 Bentgrass to UltraDwarf Champion Bermuda. The course was also lengthened by 250 yards to now measure over 7400 yards to give the Dunes Golf and Beach Club the option to co-host the 2014 PGA Professional National Championship. 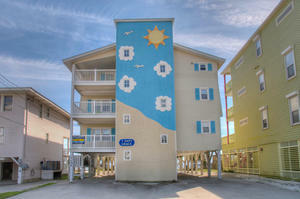 The Dunes Golf and Beach Club consistently ranks in the top 3 courses to play in Myrtle Beach. This golf course is actually a private club that only allows membership and certain package providers to book tee times at this highly coveted golf course. This golf course maintains certain high standards to ensure that the condition and quality of the course is always in peak condition and the staff is full of southern hospitality and charm. 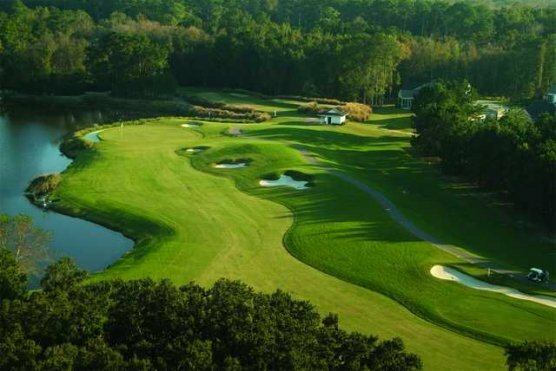 One of the only golf courses in Myrtle Beach to run along the Atlantic Ocean, this southern gem should not be missed and is on most golfers bucket list. Call us today and book this iconic Myrtle Beach golf course for your next Myrtle Beach golf package.